The Doctor from Doctor Who - Fancy Dress Party Ideas! There have been lots of versions of the Doctor over the years. 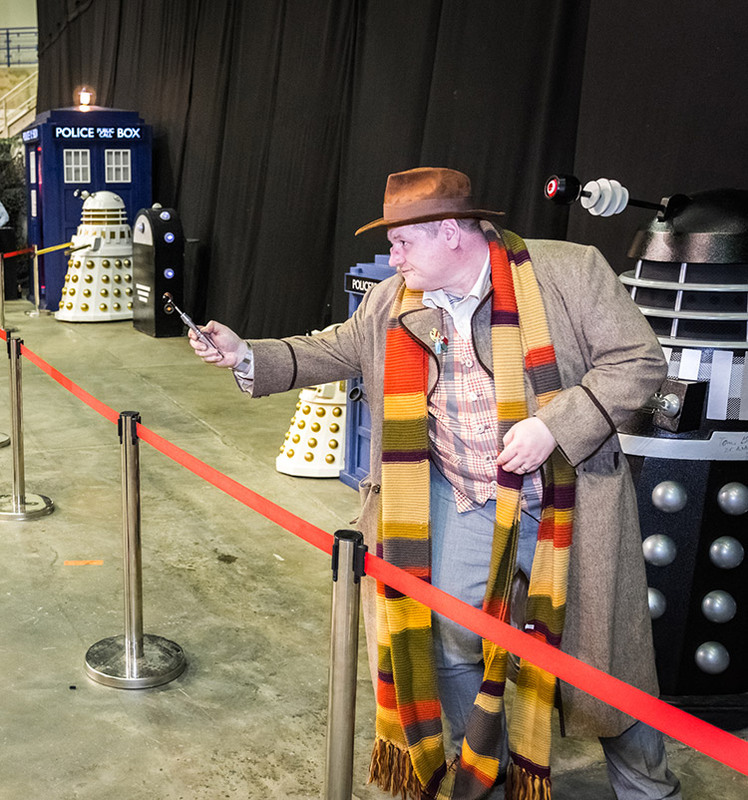 He has become very popular in the United States as well as the United Kingdom and The Doctor is always a popular choice at cosplay events. For this you will need a suit and tie, hat – bow tie if you are following the eleventh doctor in the series and definitely a colourful striped scarf. For the final touch – a celery stalk on your lapel. The Tom Baker version really loved dramatic scarves and that means you have lots of colourful options for the doctor. Carrying around a sonic screwdriver will add to the part and it will really impress people if you carry a blank ID card for psychic paper.